Workout clothes should be limited to workout sessions! This has been the myth for a very long time. And it is time to break the shackles of the same and wear clothes which scream of balance. A workout cloth that works fine for both sporty and casual occasions is what we need. Thankfully, there are such pieces available. Want to which ones qualify for this list? Keep reading to find out more. The first piece you need is a hoodie. A functional hoodie in grey to be precise. A basic shade will allow you to match the hoodie with all types of apparels. The grey hue lends it a textured finish that further makes it a versatile piece to wear. Skip the oversized version for this time and go for something that is fitted and enhances your stature. Matching sports bra and leggings set to have something about them which makes them popular. Reputed wholesale sports clothing suppliers have introduced floral printed sports bra and leggings that if anything looks Incorporation of bright shades further enhances the appeal of the set that can be worn both for casual as well as sporty occasions. The third piece which comes under the spotlight is a tank top. By now, you are probably aware of the functional qualities of a tank top. If you want something sexier, it is best to go for a version that features a deep neck and cut out detailing. Since the latter has recently made a massive impact on the fitness-fashion industry, you will find most tank tops with athletic apparel wholesale suppliers showcasing the design. Go for darker colors to add to the appeal. Nothing beats a t-shirt. Comfortable and versatile, a tee is highlighted on being everything great clubbed together. Since the graphic theme is currently in now, opt for one that comes with a bold slogan. Stick to the basic colors of white and black for the background to let the slogan be the feature of the tee. A unitard! The name says it all. Sleek, stylish, comfortable, functional and definitely worth all the fuss! A unitard can be teamed with every outfit you can imagine of. Since they work perfect for workout sessions that demand strength and power, you can rely on their basic roles. Go for darker colors to give them an edgy appeal. 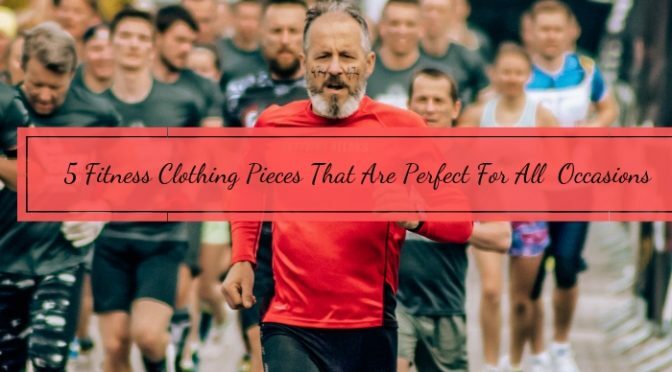 If you are looking for clothes that scream of balance and function, then these are the pieces you should definitely invest in. workout and marathon clothing distributors have the same garments in their inventory that can be purchased by the retailers in bulk. Register today to get unrestricted access to the inventory.